Do you have strong organization and leadership skills? Would you be keen to use them to help us with the coordination of one of the most unique nature reserves in the UK? We are looking for a new volunteer member to join our small team to help coordinate the wonderful volunteer workforce at Sherwood Forest. 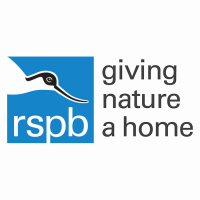 The Royal Society for the Protection of Birds (RSPB) was founded in 1889 and is the largest nature conservation charity in the UK and in Europe. Through the delivery of successful conservation initiatives and powerful partnerships, RSPB works consistently to promote the conservation of birds and wider wildlife, protect their natural habitats and to inspire everyone to stand up and give nature the home it deserves. The Midlands region spans 14 counties, covering most of the East and West Midlands government regions. More than 9 million people live in the region, the majority in large cities and market towns. The area is essentially rural but includes some of England’s best-known and well-loved landscapes such as the Cotswolds, Malvern Hills, Welsh Marches, Sherwood Forest and parts of the Peak District. The region is dissected by several rivers, including parts of the Avon, Severn, and Trent where a number of wetland restoration projects are underway. Conservation priorities for this region include the continuing efforts to reverse the declines in a range of threatened farmland bird species, and we are also looking at ways to benefit our much-loved garden birds. The region has a small complement of nature reserves including Coombes Valley, Churchwood, Otmoor and Sandwell Valley and we are looking to increase this number with new reserves in development at Middleton Lakes near Birmingham and Langford Lowfields in the Trent Valley. As the Lead, you may also oversee the activity of other volunteers carrying out these tasks, and, with relevant staff, ensure that KPIs relating to volunteer management are met. We need someone who can commit two full days per week to this role. Some home working may be an option. – An outgoing personality, good organisational and communication skills, an ability to lead/inspire others and work as part of a team. – An enthusiasm for, and knowledge of, birds and other wildlife is beneficial but not essential. – Computer/database/website skills an advantage. You will be a part of our wider Sherwood team, helping to deliver a great visitor experience and keeping the legend of Robin Hood alive. You will be given training and support to help you develop your knowledge of the RSPB and the site. You will have a line manager who can help support you in your role, and who will enable any development you want or need. You will have the opportunity to build on existing skills, and demonstrate organisational and people management skills. You will have an RSPB email and access to RSPB systems to enable you to carry out your role, develop your skills and access necessary information. You will be able to make a real contribution to the operation of one of the RSPBs newest sites, as well as to the many volunteers who work here.